Grandparents that love to cook! Tastemade and a Major Digital Network are casting outgoing, charismatic grandparents in Los Angeles for a heartwarming new cooking show! Do you know a gregarious grandparent who has a signature dish that everyone in the family has talked about for years? In this new series, we will learn about these time honored dishes, while getting to know the incredible cook behind the recipe! 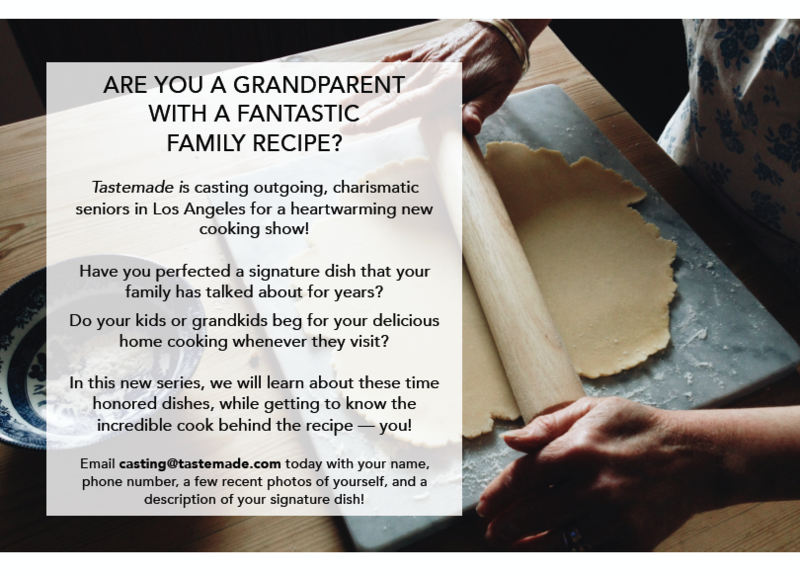 Email casting@tastemade.com today with your name, phone number, name of your grandparent, a few recent photos and a description of his or her famous dish!